Jackson Police responded to the Ted Keyes Log Cabin Party Store on Fourth Street Wednesday afternoon for a report of an armed robbery. A state police K-9 unit was called in and tracked the robbery suspect to an apartment building in the 300 block of W. Franklin Street. Police confronted a 27-year-old male suspect who threatened to jump off the apartment’s balcony. A negotiator talked the man off the balcony and he was arrested. 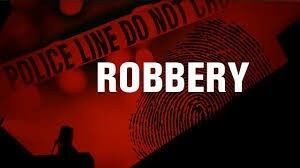 Police recovered cash and items stolen during the robbery as well as a vehicle reported stolen on January 30th.